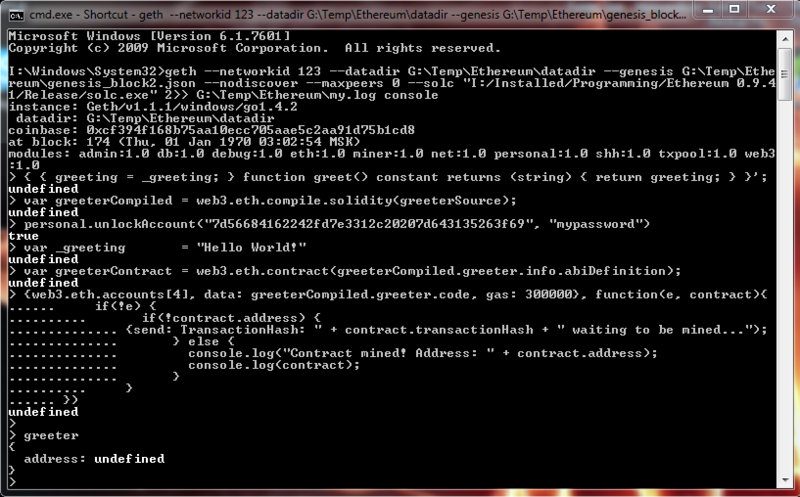 I am trying to use Greeting tutorial from https://www.ethereum.org/greeter but I get the error "TypeError: 'greet' is not a function". Can anyone help. BElow is what I am doing. var _greeting       = "Hello World!" Can you type just greeter and paste the result here? Tutorial also says "Since this call changes nothing on the blockchain, it returns instantly and without any gas cost." so I thought there is not need for ether. Although I think i did mine ether for the Account used, but maybe you think something else? I don't know what it means to mine contract. So far I have mined ether for Normal Accounts. Aha, so I am the one who is supposed to start mining. 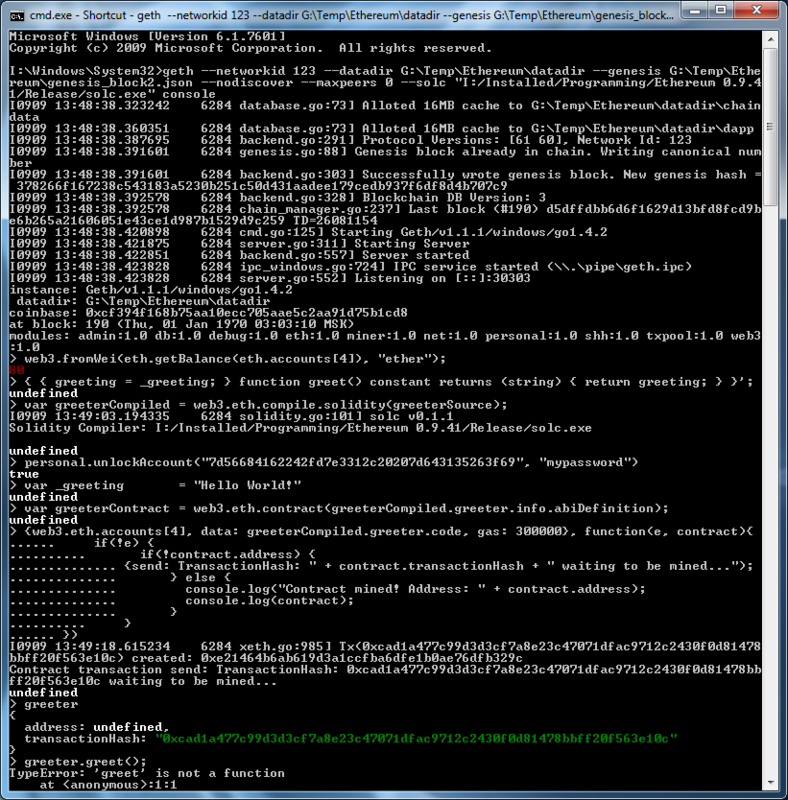 OK so I typed miner.start();. waited a bit and then repeated greeter.greet(); and now it says "Hello World! ".